An area of application expertise that has ample opportunity for use in manufacturing is Wing Bending. These specialized machines are used in a wide variety of sheet metal operations to form cavities for products ranging from HVAC units, to ovens, dishwashers and even coffee makers. 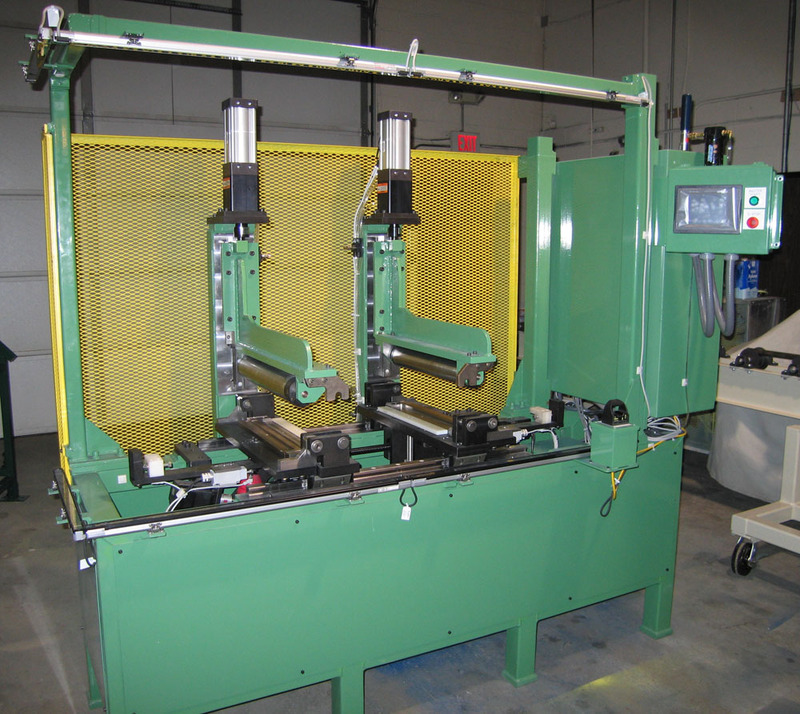 Innovative Automation has experience with a full range of wing benders from small simple units to fully automated systems. Since wing benders can range from simple manual devices to highly flexible servo driven versions, it is critical that the application be fully evaluated to determine the type of system that will provide an optimum solution. In the case of wing benders, as with other devices, this is partially a function of model mix and volume. 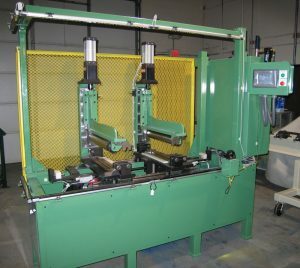 Our wing benders have been used for heavy gage as well as lighter gage components with extensive model mix allowing us to leverage our controls engineering capabilities to make benders that automatically adjust to the different cavity sizes presented to it for processing. We look forward to working with you on your application to determine the unique wind bender solution that is best for the application.